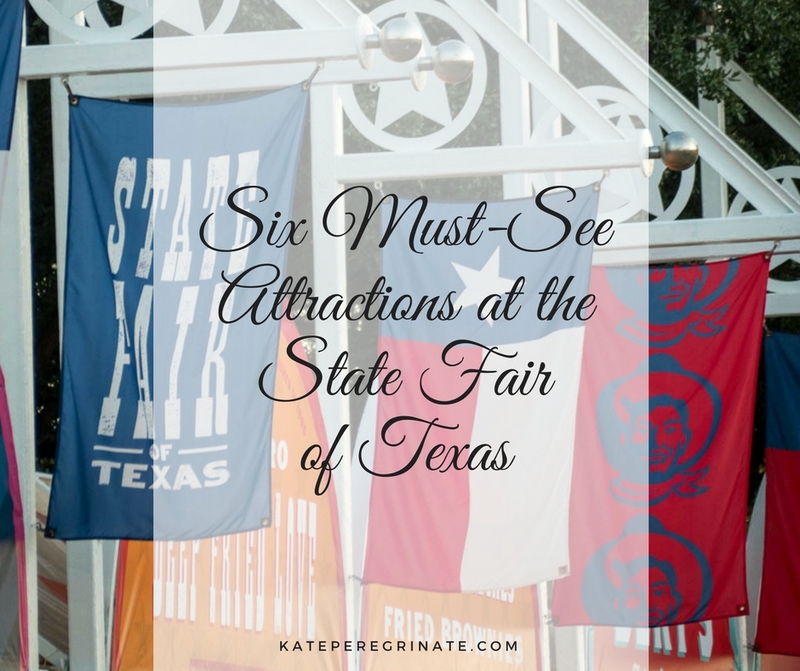 I’ve lived in Texas for almost two decades, so I decided it’s finally time to visit the State Fair of Texas in Dallas. I wasn’t sure what to expect (except for the deep-fried foods). 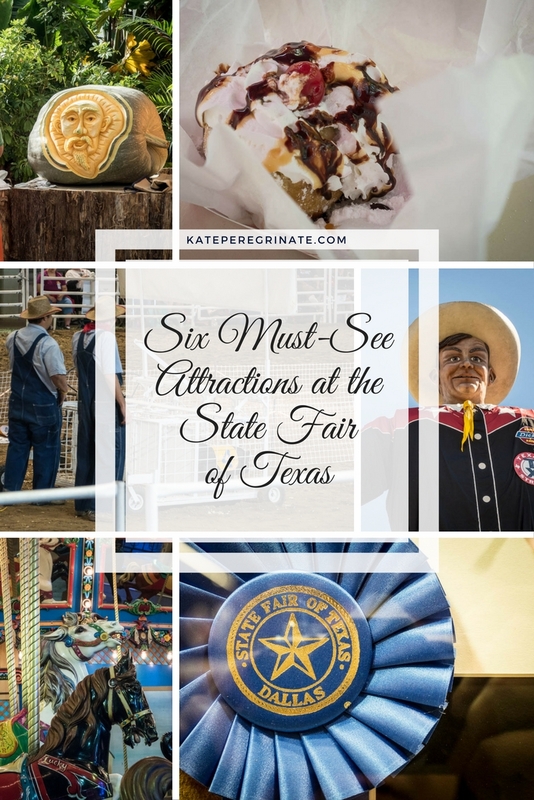 There’s a lot to see and do, and I probably could have spent several days checking out the different exhibits and attractions. 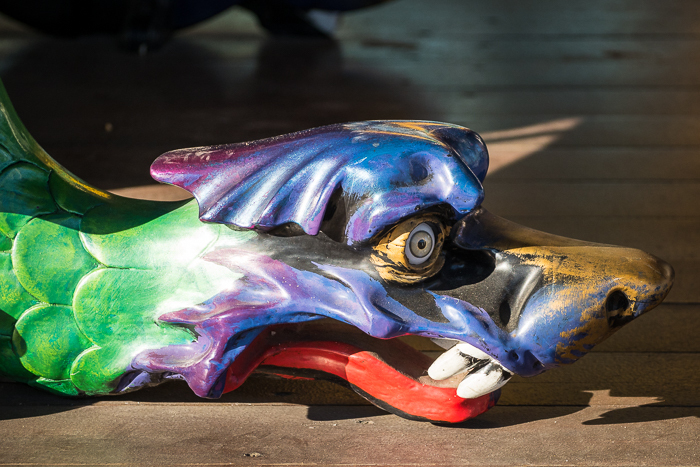 I was lucky to spend one day at the fair with friends and their kids and a second one my own to explore a bit more. 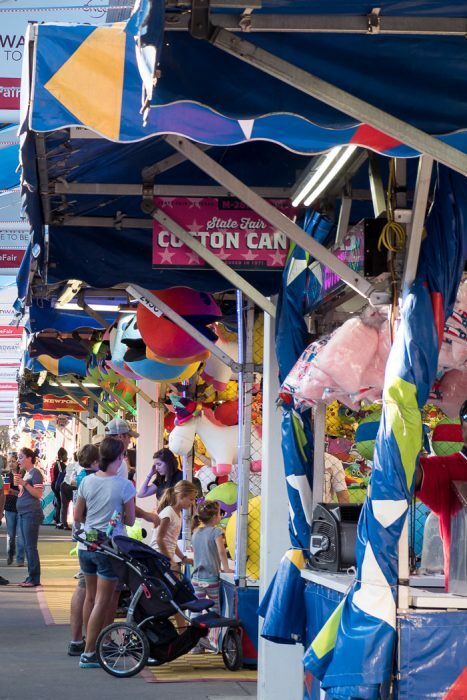 The Midway has all the quintessential fair attractions — thrill rides, carousel and Ferris wheel, carnival games, cotton candy and funnel cakes. 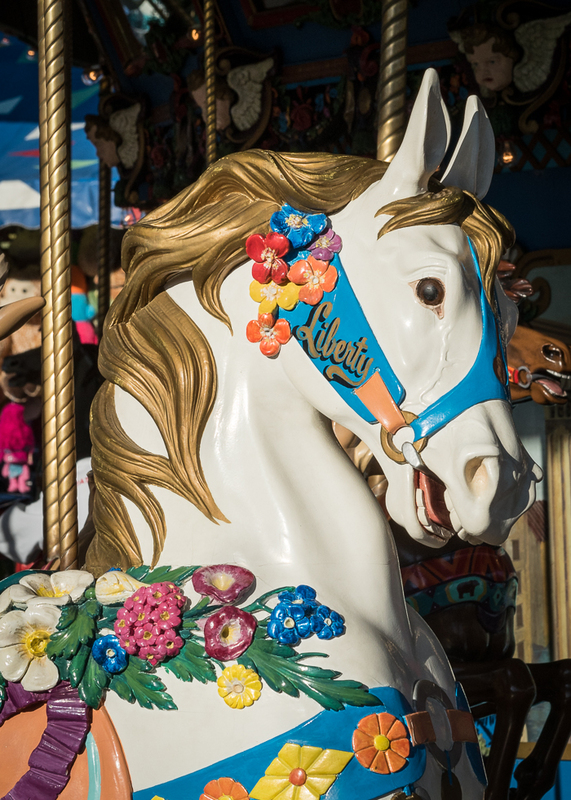 The antique Dentzel Carousel has been entertaining visitors to the State Fair since the 1950s. 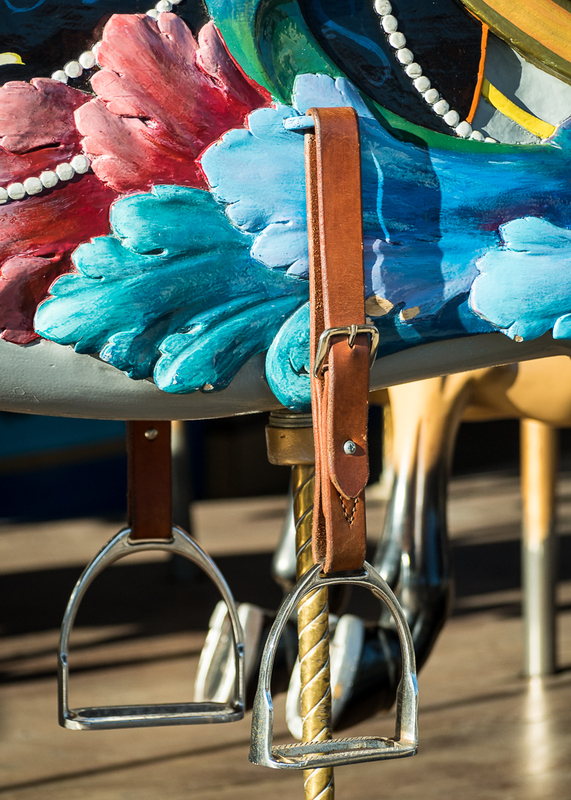 Pretend you’re in a horse race on one of the 50 jumping horses or relax in one of the chariots. 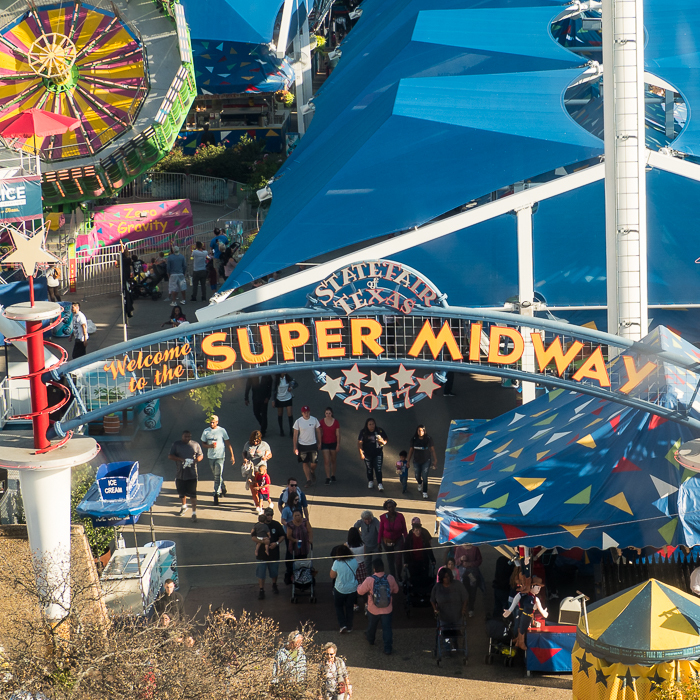 The Texas Star Ferris Wheel will give you a birds-eye view of the State Fair and downtown Dallas. At 212-feet tall, the attraction was the tallest Ferris wheel in North America until 2013. The Errol McKoy Greenhouse is a little oasis tucked in the corner of the fair grounds. If you’re looking for a cool, shady spot to rest your feet after exploring the Midway, this is it! My friend Drew is the manager of the Greenhouse. 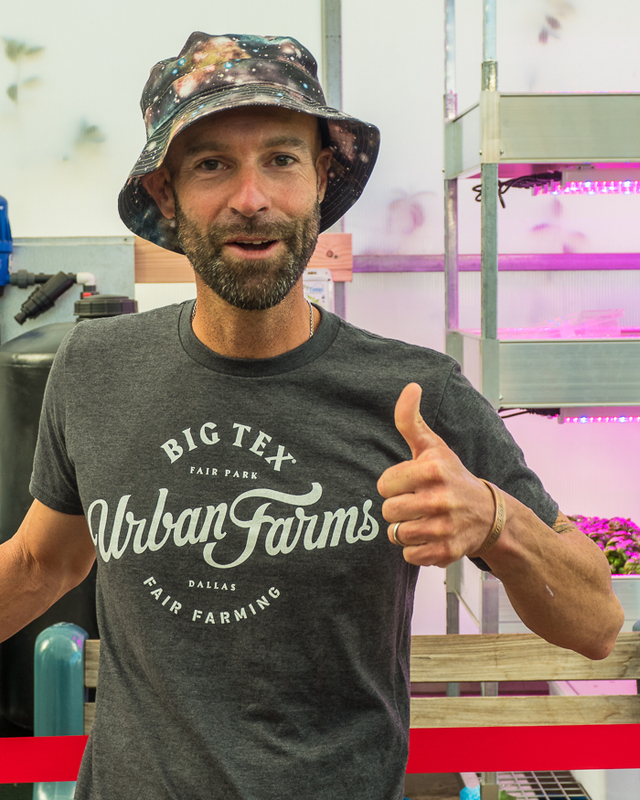 When the State Fair is over, the greenhouse and part of Fair Park are turned into the Big Tex Urban Garden, which provides fresh produce to area food banks and healthy eating programs year round. On the weekends, Farmer Mike is on hand to show off his carving techniques on gigantic pumpkins. 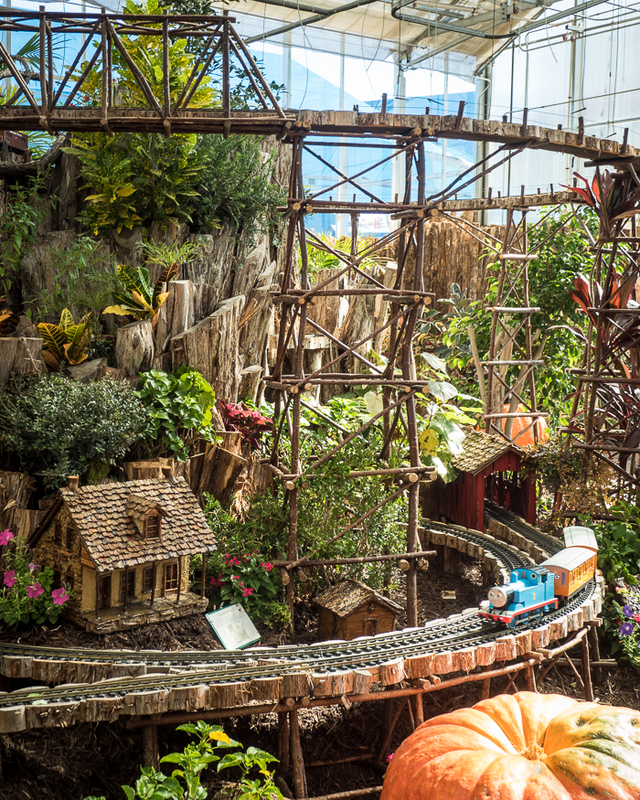 The Greenhouse’s model train display features luscious landscaping surrounding historic Texas buildings and landmarks. 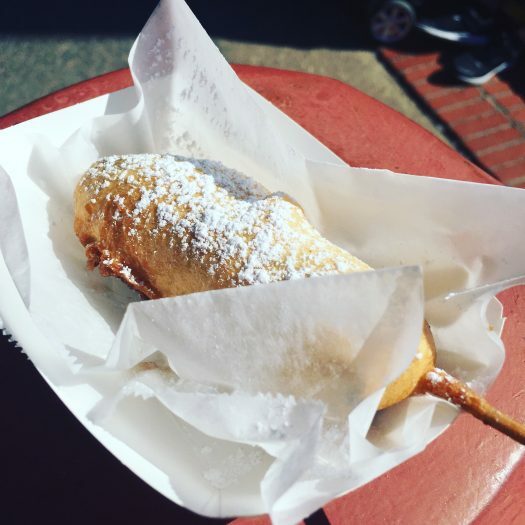 You can’t visit the State Fair of Texas without trying at least one deep-fried item. Every year, new concoctions are offered. 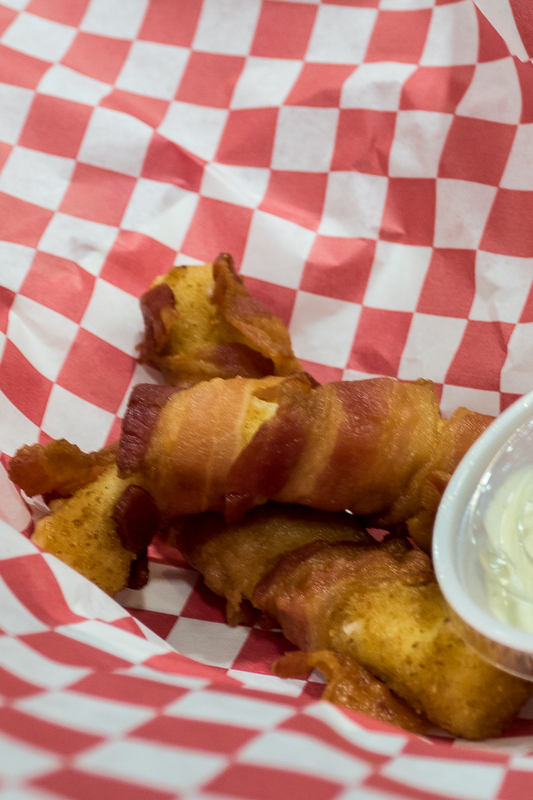 From deep-fried bacon-wrapped mozzarella cheese and deep-fried cheesecake-stuffed apple pie to deep-fried Jello, you can find it at one of the dozen food booths. 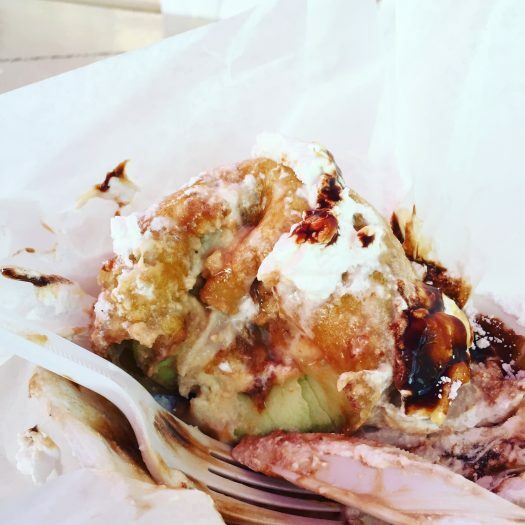 If fair food doesn’t interest you, don’t worry. 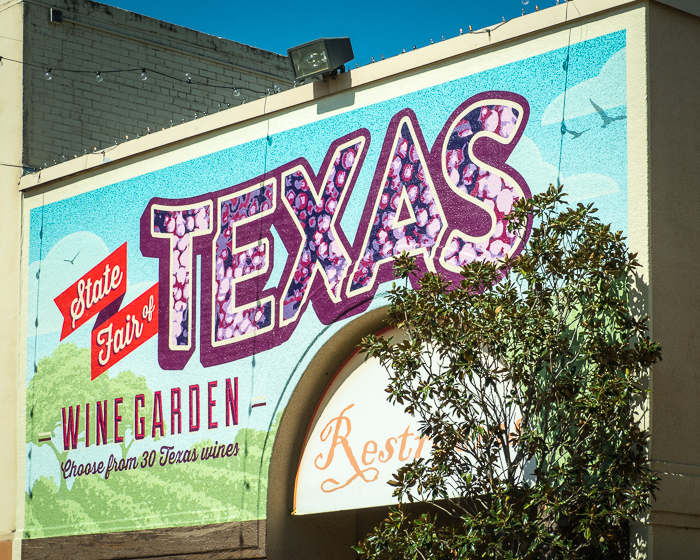 There’s plenty of other options, including the Texas Wine Garden, where you can sample wines from over 40 Texas wineries. The Creative Arts Building showcases the winners of over 1,100 competitions, ranging from canning and cooking to quilting and photography. 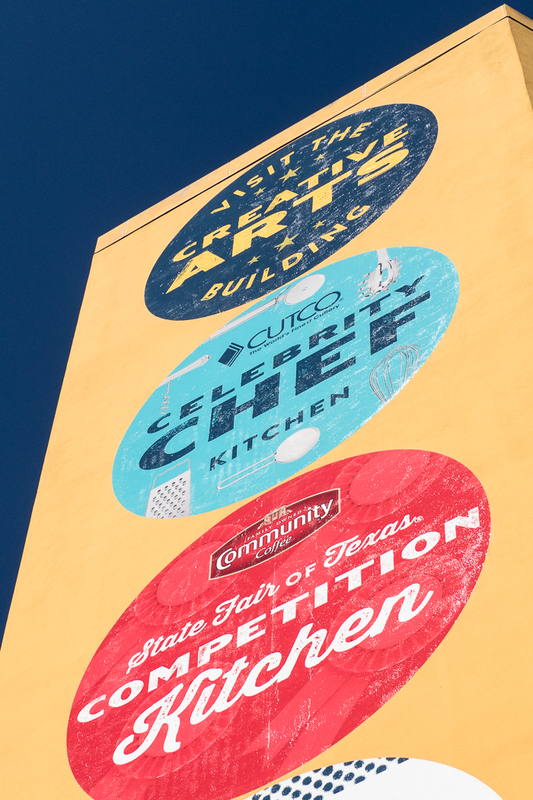 You can watch on-site cook-offs at the Competition Kitchen or get cooking tips at the Celebrity Chef Kitchen. 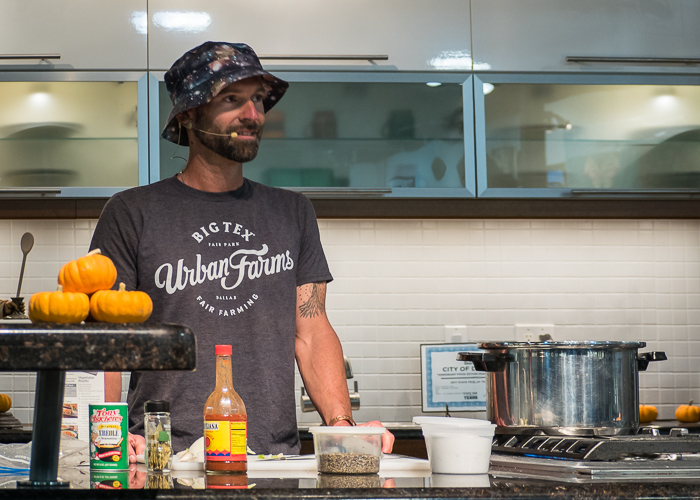 A Louisiana native, my friend demonstrated how to make a delicious vegan red beans and rice. 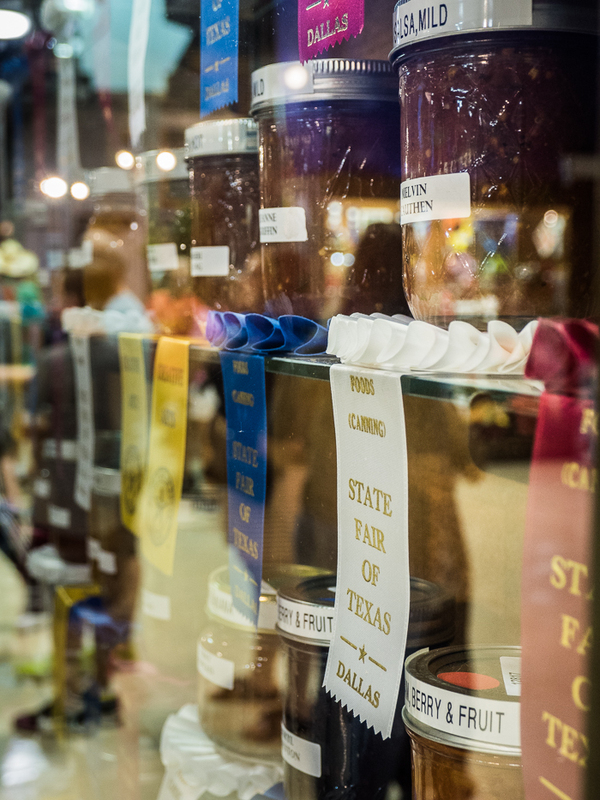 Celebrating the importance of agriculture and livestock in Texas, the State Fair offers livestock competitions and educational programs for children. 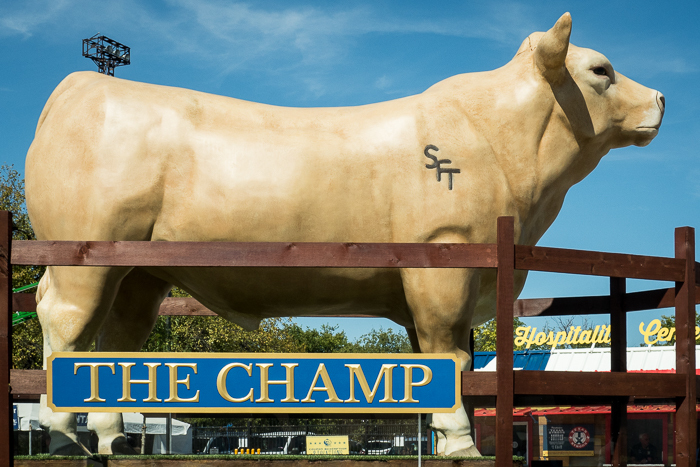 Starting this year, the Grand Champion Market Steer from the Youth Livestock Auction will be commemorated as a 10-foot-tall statue near the Briscoe Carpenter Livestock Center. You can see award-winning livestock as well as horses from the Dallas Police Department’s Mounted Unit. But don’t feed them your corny dogs! 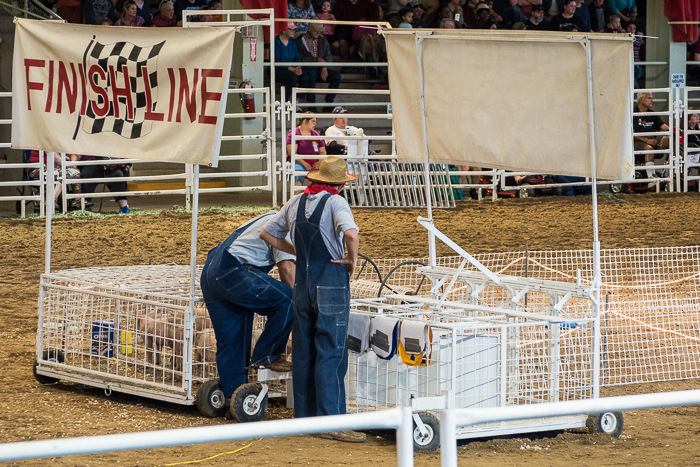 And don’t miss the pig races! It’s you chance to cheer on pig-lebrities like Miss Piggy and Kevin Bacon. 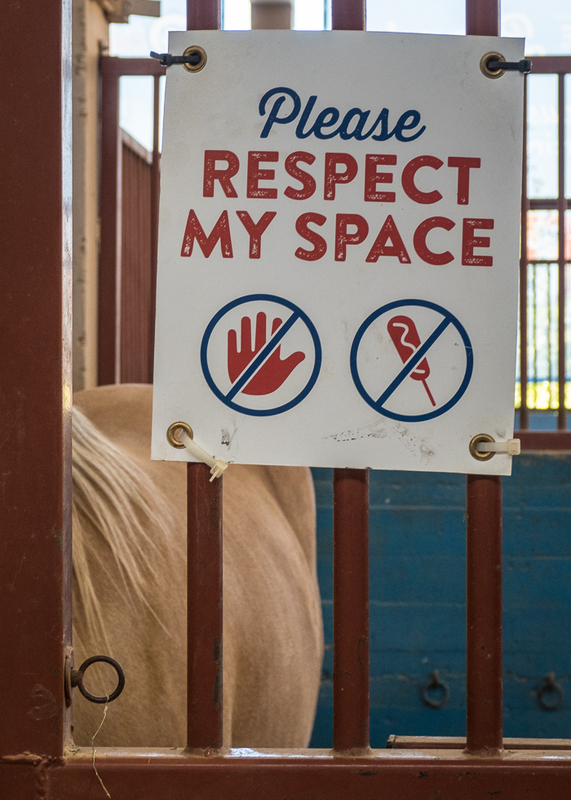 The biggest attraction at the State Fair of Texas? Big Tex, of course! 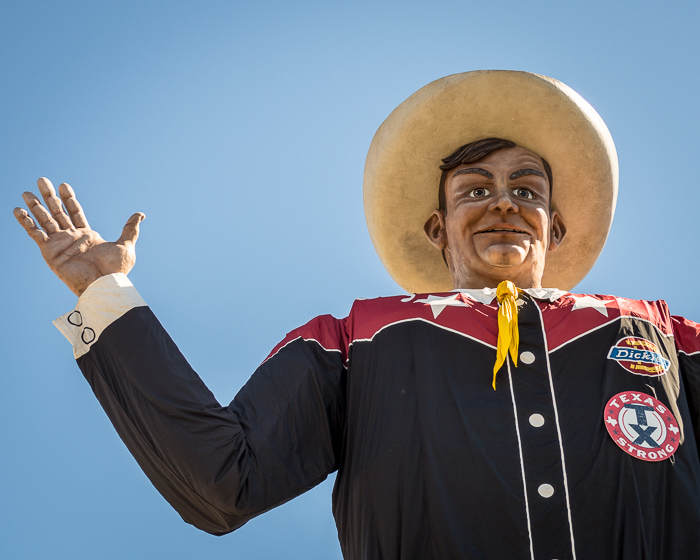 Standing at 55-feet tall, the official greeter offers a big “Howdy, Folks!” to all the visitors. 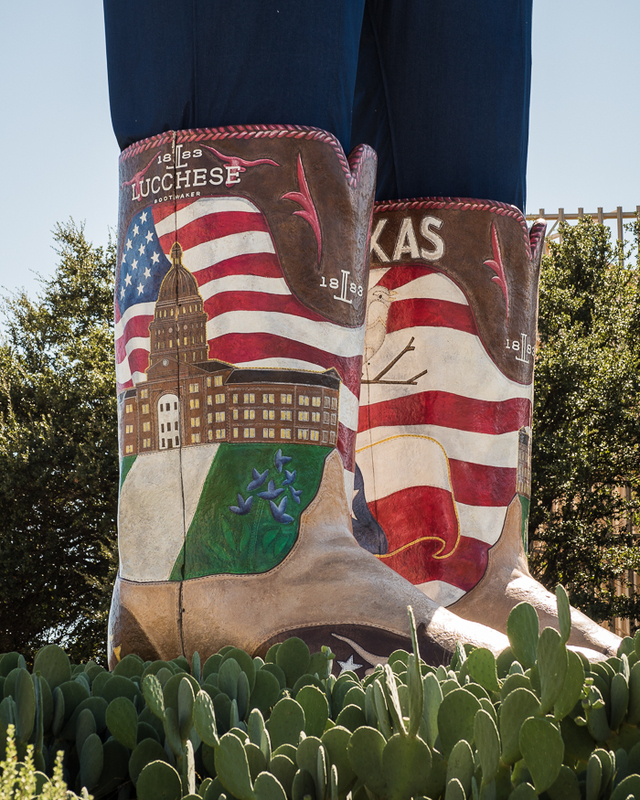 Big Tex might be a little creepy, but who else could fill these giant Texas-sized boots? Everything really is bigger in Texas! 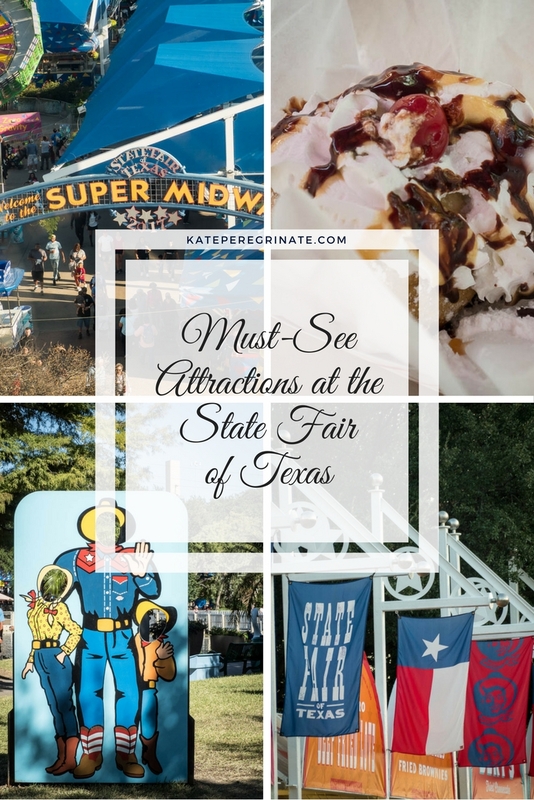 Have you visited the State Fair of Texas? What is your favorite attraction? Which deep-fried foods do you recommend trying?